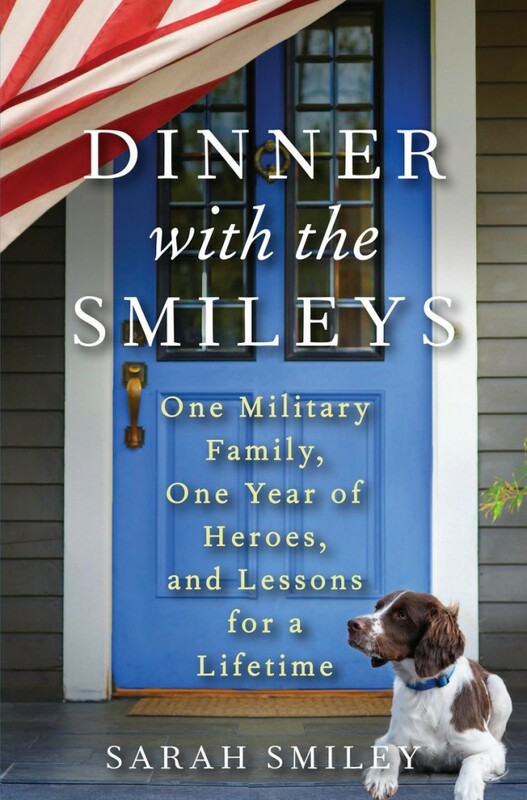 Writer and military mom Sarah Smiley instituted an intriguing dinnertime ritual to fill some of the void brought on by her husband's deployment. When Navy Pilot Dustin Smiley was deployed for a 13-month tour of duty in Djibouti, Africa, his wife, Sarah, was left alone to take care of their three sons, ages 4 to 12. 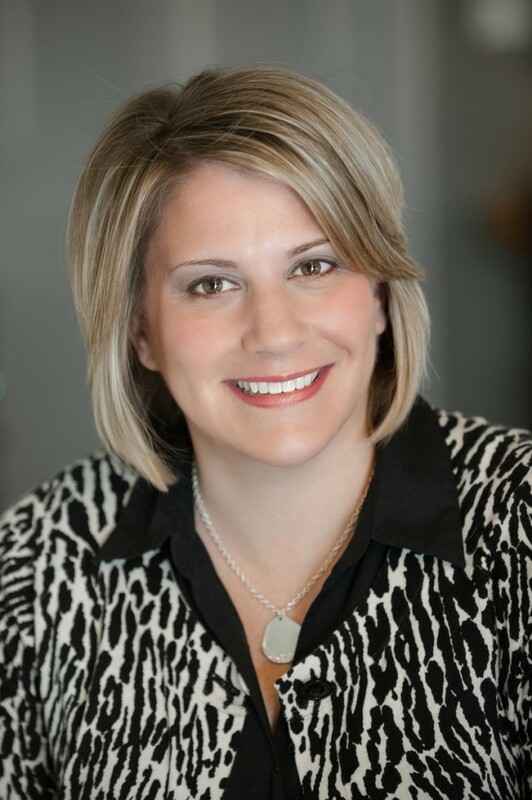 Sarah was already finishing a master’s degree in journalism at the University of Maine, writing a syndicated newspaper column geared to military families, and teaching a journalism class at UMaine. To fill Dustin’s seat at the dinner table, she came up with the idea of inviting a different guest one night a week during his deployment. The first guest was Sen. Susan Collins. Others included retired Major League baseball player Matt Stairs, then-UMaine hockey coach Tim Whitehead, former Gov. John Baldacci, and friends and neighbors. For some dinners, they hit the road to Fenway Park, a zoo, an assisted-living home, the Blaine House and more. In holding the dinners, the Smileys discovered a connection to the community that they would not have had otherwise. The book has received a lot of positive attention. Sarah wrote a cover story about it for Parade magazine, and has appeared on Katie Couric’s talk show. Q: You were writing a book about dinner with the Smileys, and had a weekly column about the dinners. Many military wives don’t have that support. How tough are deployments for them? A: First, my column has run (in central Maine) for five years, not just for “Dinner with the Smileys.” The Brunswick Times Record has run it since 2005. But yeah, experiencing a deployment in an area like this, where there is not a concentration of military families, is different. In areas like Jacksonville, Fla., and San Diego, people are being deployed all the time, and they deploy as a group, so there are a lot of other families going through the same thing around the same time. Up here you deploy alone, and you don’t have the built-in support group of a lot of other spouses going through the same thing as you are at that time. Q: You say in the book that you came up with the idea of writing a book about halfway through the deployment, but you were writing columns all along, right? A: There has been some confusion about that. A lot of people think that this is just a collection of the columns I wrote, but it isn’t. Starting shortly after the dinner with the Alzheimer’s patients, I started thinking that this was no longer just about us, that there were bigger themes and lessons about community. There are all sorts of people who are lonesome, not just military families, and I had to write the story. I didn’t write a column about every dinner. A lot of people have told me that they can’t wait to reread the columns, but this is more than that. Q: Part of this book is (about) a military wife left alone with her children, but a lot of it is how do you raise your kids — whether as a single mom or a parent in whatever state. How tough is it to raise kids? A: It is both of those things. Part of it is talking about the experience of raising boys during a year of being a single mom. A reader told me she is a single mother, and that she has three sons, and that she really connected with the book. She said she felt she did not have a way to give them someone for that father-figure role in the absence of a true father, and that she could do more in the community. In that way, it is not about the military anymore, but about raising a family and making the community relevant again. Q: Dow AFB closed decades ago, and Brunswick Naval Air Station more recently. How did a Navy wife end up in Bangor in 2012? A: My husband was how we got up here. He was the active duty officer in charge of the Navy Reserves in the state, in command of the Naval Operations Center in Bangor. His job was sort of to organize the reservists, which have become more important in the recent conflicts. That is how we got up here, and we fell in love with the area and never want to leave. He is stationed at the Pentagon now, and thanks to the direct flights, he is home on weekends and there during the week. A lot of people in the military community commute like that now. It’s not that unusual, especially as kids start coming and get involved in school. Q: Who was your favorite guest? And your kids’ favorite? A: It’s hard to pick a favorite. All of them were different. Some were favorites for how much fun they were. And (Maine talk-show host) Danny Cashman did his show here, and that was a new experience for the boys and kind of funny. Some were very profound, as with the Alzheimer’s patients at the assisted living center. And to have Sen. (Angus) King before he was elected was kind of cool. Q: How do your kids feel about being public figures through your writing? A: The boys have never really known anything different. This is kind of what they have lived with. I’ve been writing the column since Ford was a baby. It makes for strange bedfellows, with the military and journalism, which don’t always get along. My husband has grown used to it. We worked out some of the kinks with what things he doesn’t want me to write about. Q: You said somewhere in the book that you were born in 1976 while your father was deployed, and he did not see you until you were 7 months old. Did your mother ever share her experiences from then, and did it affect how you reacted to Dustin’s deployment? A: This is not new to me, and in some ways, it is good because I am kind of used to the pattern. But it is a lot different being the child of a person in the military who is being deployed than being the wife. In my mom’s generation, it was different. Q: Are you still teaching a journalism class at UMaine like you did during the deployment? A: I am not teaching there this semester, but I miss it, and would like to get back to it — either at Orono or another place in the area. Q: Do you have another book in mind? A: I’m starting to think about it. I’m in the thick of “Dinner with the Smileys” and promoting it, so I can’t even think much. But I can’t see myself not telling some kind of story. Q: You must feel really good, having appeared on the cover of Parade and going on Katie Couric. A: It definitely has gotten a lot of attention. I think part of it is that we have moved away from the community and the family dinner tables, and I think people miss that community, neighbor and family togetherness, just sitting around the dinner table at night.